Relive our Joy with the rebirth of St. Demetrios Greek Orthodox church for the next 100 years. Come revisit our glorious 100th anniversary celebration celebrated in prayer and song. Come and see our church historically restored and enhanced by the resplendent iconography of Panagiotis and Dimitri Christodoulou. 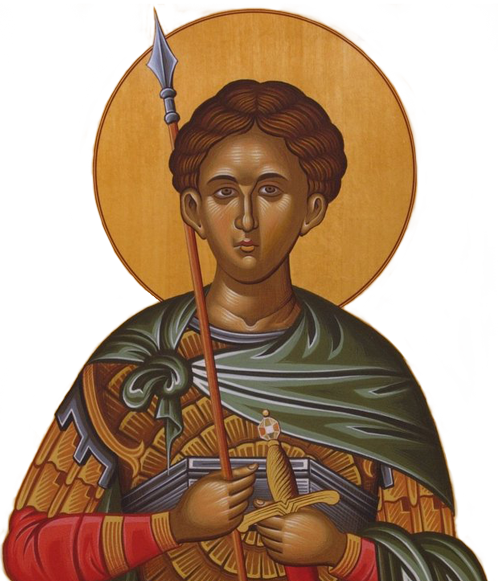 The Arcadian Chorale, under the direction of Marina Alexander, performs a musical tribute to The Great Martyr Demetrios in celebration of the 100th anniversary of St. Demetrios Greek Orthodox Church. Hierarchical Divine Liturgy officiated by His Eminence Metropolitan Evangelos. Eastern Federation of Greek Orthodox Choir Musicians performs the premiere of the Divine Liturgy of Saint John Chrysostom in the Fourth Plagal Mode by Anna Gallos, conducted by Nicholas Kyrus and accompanied by Theodora Adzharova. This entry was posted in 100th Anniversary, multimedia, News, video on October 25, 2018 by stdemetriosadmin. The work to scan and edit these pictures was done by PETER J.CHRISTOPOULO’S grandson ALEX BERTUCCI. Mr. Bertucci further edited a highlighted version of these 1000 photos set to music, played at the Gala 100th Anniversary Luncheon on October 29th and is offered free below here to you for viewing pleasure. THANK YOU ALEX BERTUCCI from the entire St. Demetrios Community. This entry was posted in 100th Anniversary, multimedia, News, photos, video on November 8, 2017 by stdemetriosadmin. This entry was posted in 100th Anniversary, multimedia, News on July 21, 2017 by stdemetriosadmin. Friday, April 7, 2017 8:00 p.m. This entry was posted in 100th Anniversary, Event, News and tagged centennial on January 31, 2017 by stdemetriosadmin.